Since the founding of our company in 2001, SUPTEK has specialized in Natural Plant Extraction and Application, especially for Rosemary, Seaweed, Pinper Nigruml, Nutmeg and others. Suptek has always attached great importance on its relationship with its customers. Suptek continually concentrates on its product research and development to resolve customers special requirements. Our vision is to improve the quality of life by serving the food, dietary supplement, pharmaceuticals, cosmetics, food, and other industries with our products and services. In August 2012, SUPTEK had established a branch office in the UK to expand the overseas market. This branch was appointed to solicit new customers by marketing, promoting and serving the customers. We anticipate this branch to provide the company with marketing information for decision making and development references. 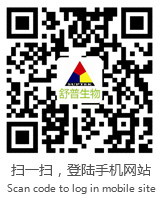 Hainan Super Biotech Co., Ltd.